Google's self-driving prototype car drives around a parking lot during a demonstration at Google campus on Wednesday, May 13, 2015, in Mountain View, Calif.
Google wants Congress to create new federal powers that would let the tech giant receive special, expedited permission to bring to market a self-driving car that has no steering wheel or pedals. 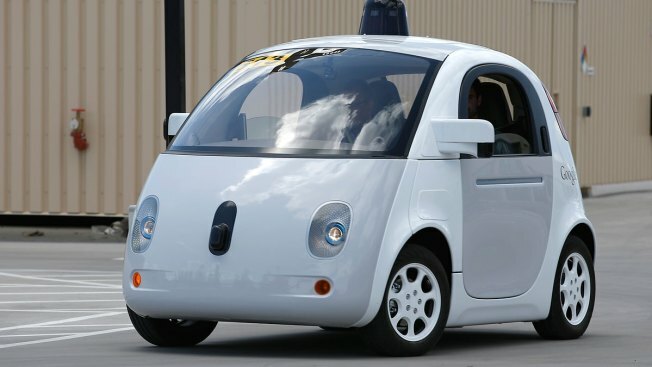 The proposal, laid out in a letter to top federal transportation officials, reveals Google's solution to a major regulatory roadblock: U.S. law does not permit the mainstream deployment of cars with the design Google has been advancing, which would not allow a person to drive. The cars may sound futuristic, but Google has dropped increasingly strong hints that its self-driving technology — tested for several years on public roads in California and elsewhere — could be ready for early adopters sooner than the public expects. The tech giant's push to clear roadblocks in federal law reinforces that confidence. In a letter sent Friday to U.S. Transportation Secretary Anthony Foxx, the head of Google's self-driving car project, Chris Urmson, sketched out the idea of a federal fast track for the technology which he floated without details at a Senate Commerce Committee hearing Tuesday. Google's proposal came in a response to a U.S. Department of Transportation invitation for industry input on ways to speed the technology to public roads, provided it is proven to be safe. Joan Lowy contributed from Washington.